The Chinese women’s national team is on a two-pronged mission. They’re eager to qualify for both the 2018 Olympics in PyeongChang, Korea – and even more excited about the 2022 Olympics in their capital city, Beijing. So where better to prepare by playing some exhibition games than Canada, the motherland of hockey? On 23rd October, the Chinese downed the Pacific Steelers 7-2 at the Richmond Olympic Oval, an Olympic venue about a half-hour drive south of downtown Vancouver. Xin He and Xin Fang staked the visitors to a 2-0 first period lead and the Lady Dragons never looked back. This was the final installment in the five-game “Harmony Through Hockey” exhibition series in Metro Vancouver between China and local clubs. 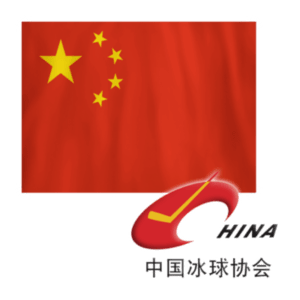 China lost 4-1 to the University of British Columbia (UBC) Thunderbirds on 17 October, beat the Richmond Devils 2-1 on 18 October, blanked South Fraser TNT 3-0 on 20 October, and defeated the South Coast Women’s Hockey League (SCHWL) Selects 3-1 on 22 October. The series was organized by the 2015-founded Canada China Sports Foundation. Much work remains to be done on the current Olympic quest. The Chinese currently sit 16th in the IIHF Women’s World Ranking, behind Latvia and ahead of Hungary. China has not competed at a top-level Women’s World Championship since finishing ninth in 2009 and getting relegated to Division I. The last Olympic appearance for the Chinese women was here in Vancouver. They finished seventh in 2010. Current head coach Rick Seeley previously coached women’s hockey at Quinnipiac University in Connecticut. It’s a challenge rounding up talent. There are less than 300 registered female players in China, whose population is 1.3 billion. The national team needs worthy successors to former captain Sun Rui, who played at two Olympics and eight Women’s Worlds from 1999 to 2013, and goalie Guo Hong, who was nicknamed “The Great Wall of China” for backstopping her nation to its best finishes ever at the top level, fourth place at the 1998 Olympics in Nagano, Japan, and at the Women’s Worlds in 1994 and 1997. China’s next step toward the 2018 Olympics comes at a qualification tournament in Cergy-Pontoise, France from 15 to 18 December. China will face host France, Latvia, and another team to be determined in the six-game round robin. The nation that finishes first will compete in the Final Olympic Qualification phase with two tournaments held in Japan and Switzerland in February 2017. As the site of the final “Harmony Through Hockey” game, the Richmond Olympic Oval was spectacularly fitting in more ways than one. More than 50 percent of Richmond’s population identifies as Chinese. Nearby Alexandra Road, nicknamed “Food Street,” offers more than 200 Asian restaurants in a three-block span, and huge Asian malls grace No. 3 Road. Known for its spectacular wood wave roof, the Oval hosted long-track speed skating during the 2010 Olympics. Today, the 33,630-square metre venue next to the Fraser River has been converted into a state-of-the-art public fitness centre. It has two Olympic-sized rinks, six hardwood sport courts, and a 200-metre running track, plus a climbing wall, zumba classes, and state-of-the-art fitness equipment. The Richmond Olympic Experience museum showcases Winter Games memorabilia and thrilling interactive exhibits from hockey target shooting to a bobsleigh simulation. Now, the Chinese women must find a way to thrill their fans by clinching a berth at the next Winter Games. That would be another big step on the road to 2022. Seeley said the Chinese government is on board. Groomed in the Himalayas and neglected by the government, India’s budding Ice hockey players are now reeling under the absence of professional training. In 2015, Zia Rehman Mir scaled new heights as he made his way to the International Ice Hockey Tournament in Kuwait. Hailing from an agrarian family in Kashmir’s Dras (Kargil), the 27-year old athlete would often give up on practice to support his family. Having failed two earlier attempts, the athlete now requests the local administration to arrange better coaching facilities for the team. 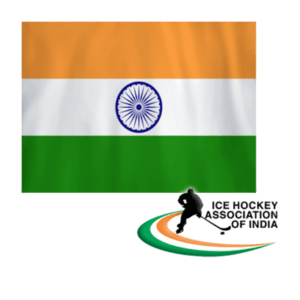 A highly popular sport in Leh, Ice Hockey is hardly on the Indian Sport board’s agenda. The Indian team comprises mostly of Army personnel and residents of Leh, Ladakh, Jammu and Kashmir regions..